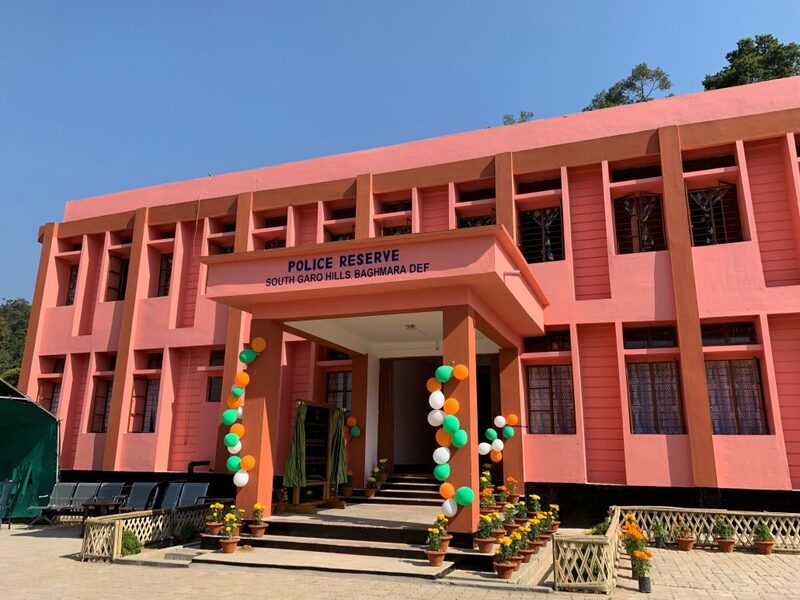 The police reserve at Baghmara in Meghalaya was inaugurated by the chief minister, Conrad Sangma. Image: CMO, Meghalaya. Meghalaya Chief Minister Conrad K. Sangma on Wednesday inaugurated the newly constructed police reserve at Baghmara in South Garo Hills. He said that South Garo Hills region had remained neglected for years and to ensure momentum of growth, the government was drawing a road map to ensure focused development of the district on a priority wise, according a communique from Meghalaya CM’s office. He said that the ongoing repair and maintenance of the Tura – Baghmara road will pave new way for development in the district. He informed that the NH – 62 has been renamed to NH-217 which starts from Dainadubi to Baghmara via Siju and Gasuapara to Tura up to Paikan, of which part has been sanctioned and the work is underway. “We are expediting the works as much as possible and would try to ensure that it is completed within 2019. However, there is delay in work for want of clearance from forest, which is being figured out and will be resolved at the earliest,” he said. “The people of South Garo Hills have felt neglected and had almost lost faith in the government. We assure the people of the district that our government is committed to fulfill the long cherish dreams and aspiration of the people of the district,” the Chief Minister exhorted.